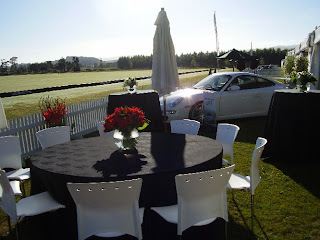 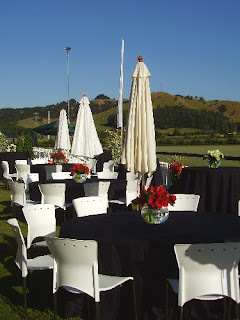 It was an early start for us out at the Clevedon Polo field, and what a beautiful day it was! 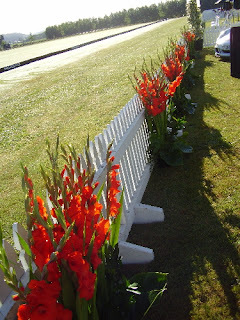 The theme for the day was black read and white, we had gorgeous bowls of Hippiastrum and planters full of Gladioli. 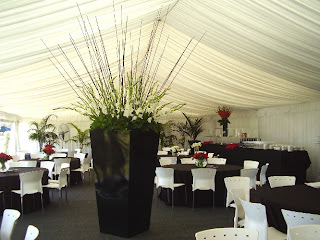 The main feature in the marquee being the large urn overflowing with white gladioli and black sticks.